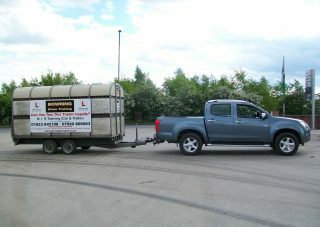 Here at Bowring Driver Training, we are a well established operation, running for over 60 years. With vast experience in a wide range of applications, including livestock transportation, articulated flats, curtainsiders, rigid flats and tippers. Having our own LGV driving school, we know that transport operators require properly trained and qualified drivers. Our trainers are qualified to pass the knowledge along for the committed operators, teaching them to drive their modern fleets in the most safe and economical ways possible.